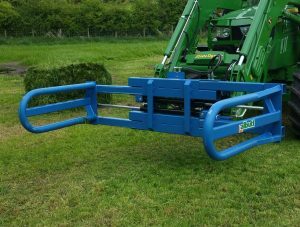 Albutt, the attachment specialist, has developed a new attachment for bale handling. 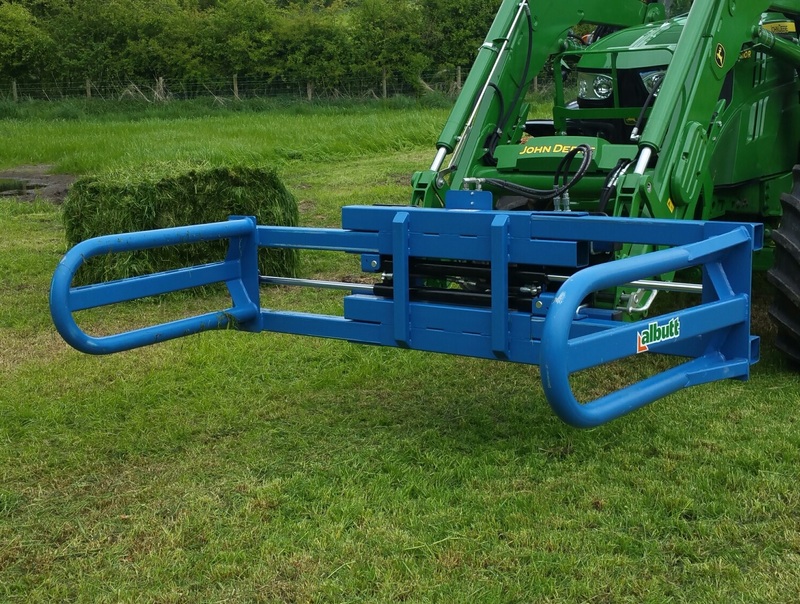 The new attachment will handle a wide range of bales, wrapped silage or straw, square or round. Developed to be used with telehandlers, loaders and wheeled loaders, its heavy duty design offers long term reliability and a flexible approach to bale handling. The design features two heavy duty gripper arms that move horizontally, controlled by two hydraulic rams. The gripper arms feature 75mm heavy duty thick wall tube for high strength. The arms grip the bale securely and open between 0.75m (29.5”) to 2.05m (80.7”), allowing the handling of rectangular and round bales. The gripper arms have smooth surfaces to protect bale wrap during handling. Rectangular bales can be gripped from the side or end (depending on bale length). An optional bolt on back frame allows more than one bale to be carried. Handler lift capacity is 1000 kilos and comes complete with adjustable pressure relief valve, (allows adjustment of clamp pressure) and hydraulic lock valve, (locks pressure in ram, providing hose burst protection). Albutt can supply this new attachment with brackets for all types of telehandlers, tractor loaders and wheeled loaders.